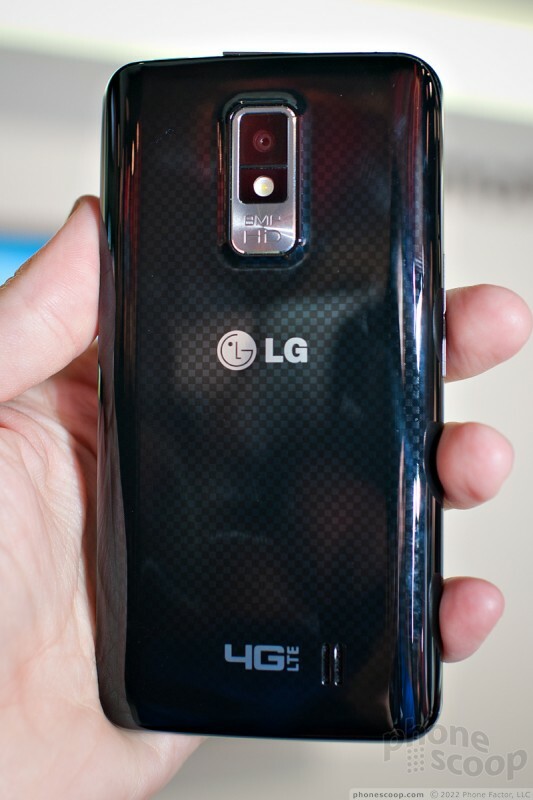 The Spectrum is LG's new flagship 4G LTE phone from Verizon. 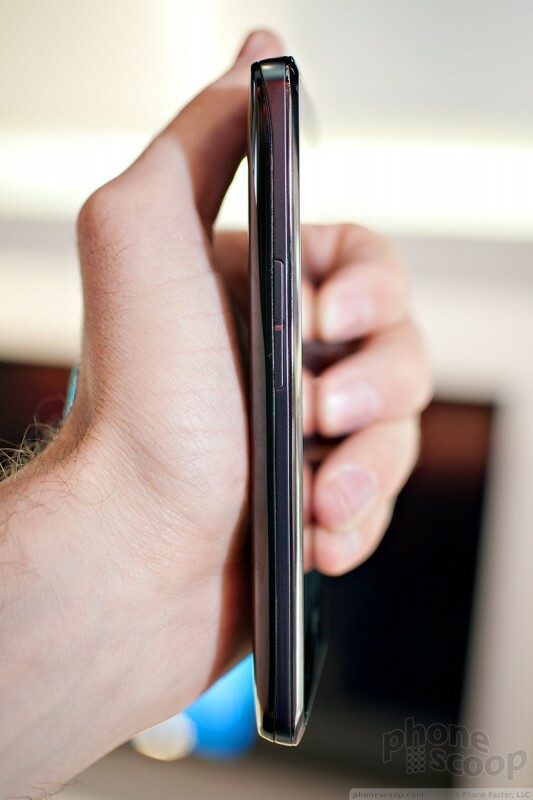 The display is huge and HD, yet it's thinner than last year's Revolution. How does it shape up? 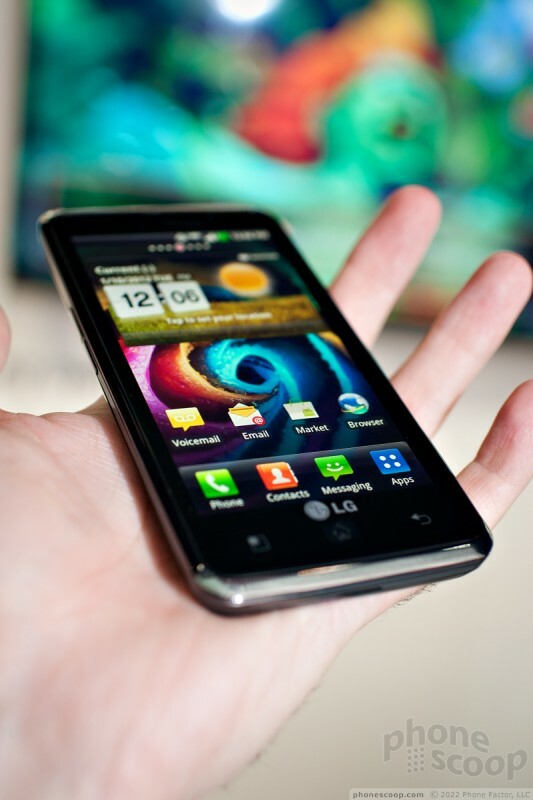 The LG Spectrum is the proper follow-up to the Revolution, LG's first LTE phone for Verizon. The Revolution was a brick of a phone. Fortunately, the Spectrum slims down quite a bit. 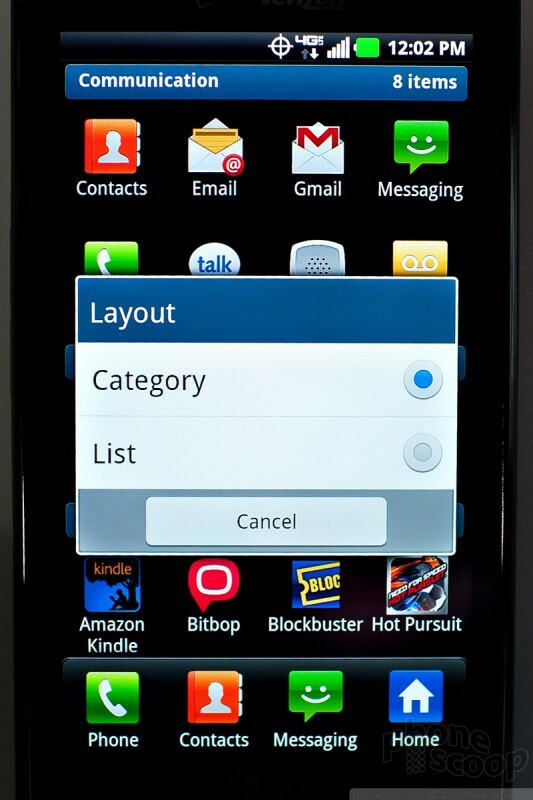 It follows the current trend of huge displays, so it's roughly the same size as the Galaxy Nexus, just not as rounded. The display on the Spectrum is true HD, like the Galaxy Nexus, but whereas the Nexus has a PenTile display, the Spectrum has a full compliment of sub-pixels, so it looks even sharper. It also uses the same IPS LCD technology that Apple uses in its iPhone. In short, it's a spectacular display. 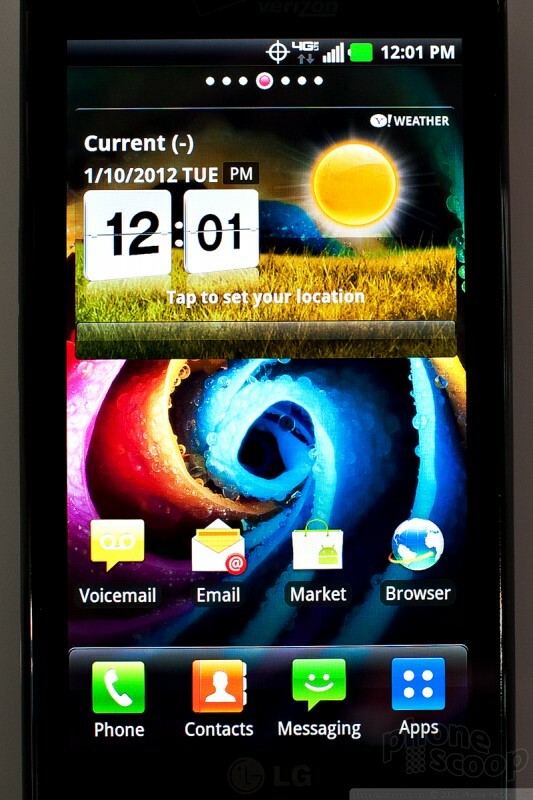 The phone feels a tad heavier than the Galaxy Nexus, but on its own it feels rather light. The body is good-looking, but it's all high-gloss plastic; I hope you like looking at fingerprints all day. The design includes a few spiffy touches below the clear plastic shell, like a carbon-fiber pattern on the back, and a silver pad below the home button that may look like a physical button from afar, but isn't. Overall, build quality feels good. The lock button on the top and the volume buttons on the side are all decent enough. They don't stick out much, but they get the job done. 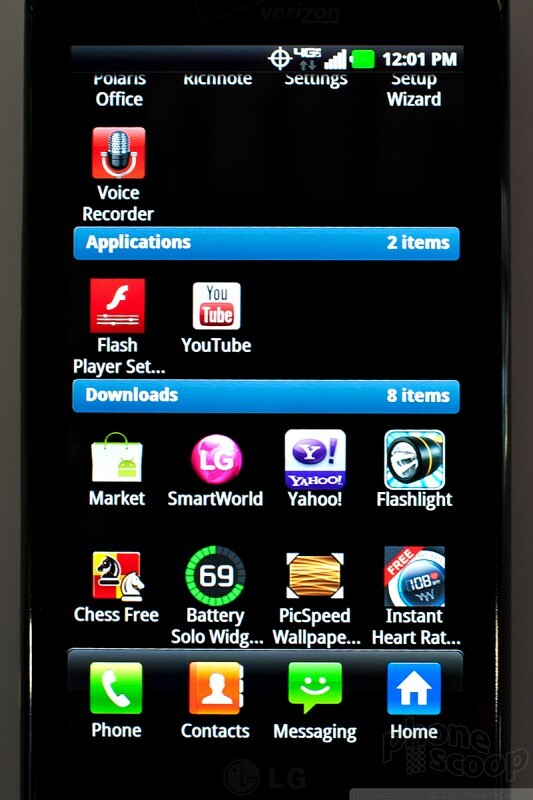 The Android software has the same usual tweaks as other high-end LG phones. You can create app categories that can be collapsed out of the way in the main app menu, sort of like folders. 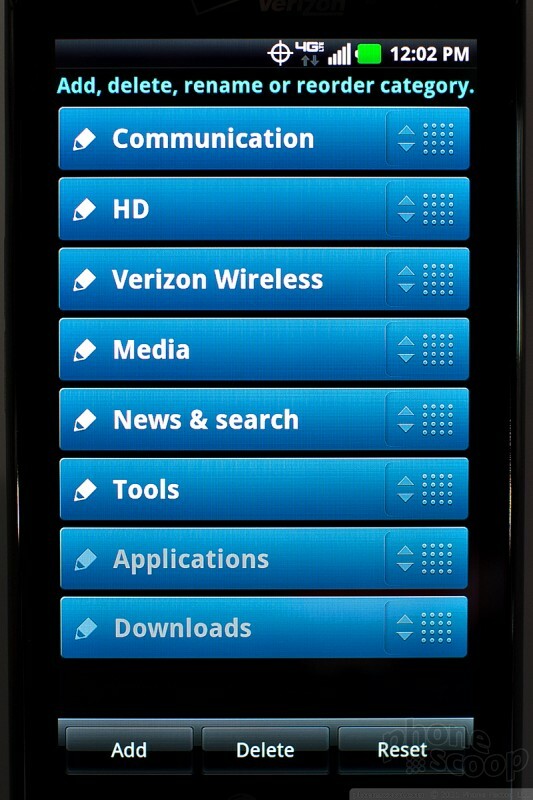 The notification shade has a plethora of controls. One unique accessory are the cases. There are several, each with a unique style. 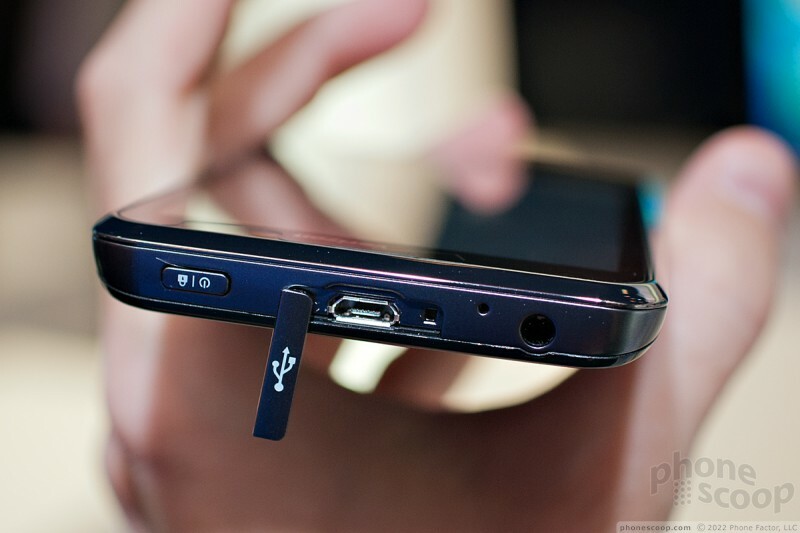 They leave the top of the phone peeking out, so it's easy to pull out. They also sport a large cut-out in the middle to see a clock on the main screen. When you insert the Spectrum, a magnetic switch tells the phone that it's in a case - and which one - causing the phone to display a clock that matches the style of the case. Unfortunately, the current software doesn't let you customize the clock be changing it to digital or changing the style. But it's beta software and we're told that could change. We're also told that the case mode will display incoming notifications, although that was too beta to demo for us. Verizon will carry at least one of the cases directly, and others are expected to be available direct for LG or from retailers like Amazon. Look for the Spectrum with Verizon Wireless on January 19th. 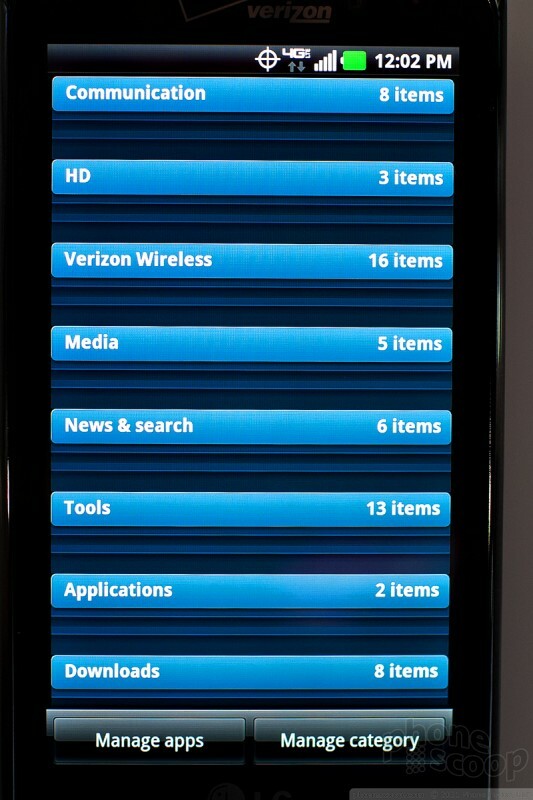 LG's Spectrum covers all the modern smartphone basics and adds some great features, such as an HD display. See what LG got right — and wrong — in its latest smartphone for Verizon Wireless. LG today announced the Spectrum for Verizon, following in the footsteps of the Revolution announced at this time last year. The Spectrum sports 4G LTE and a 4.5-inch true HD IPS display, like the Nitro for AT&T. 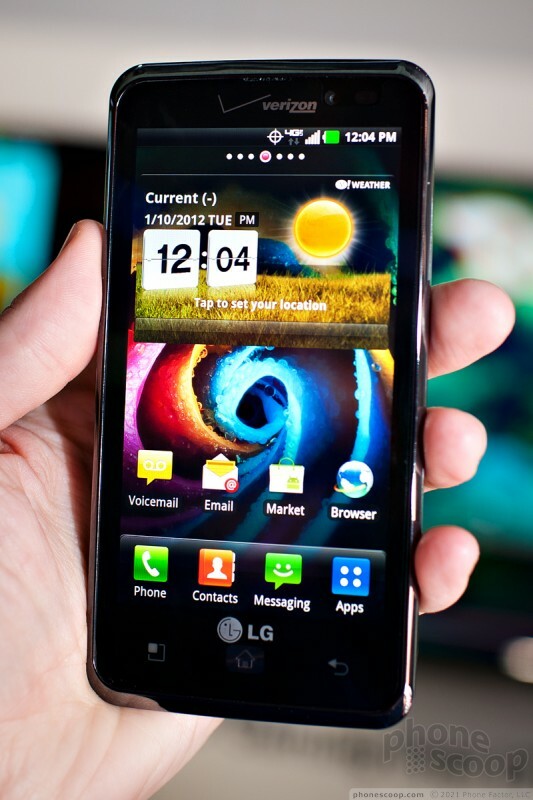 Verizon Wireless has detailed a forthcoming system update headed to the LG Spectrum. 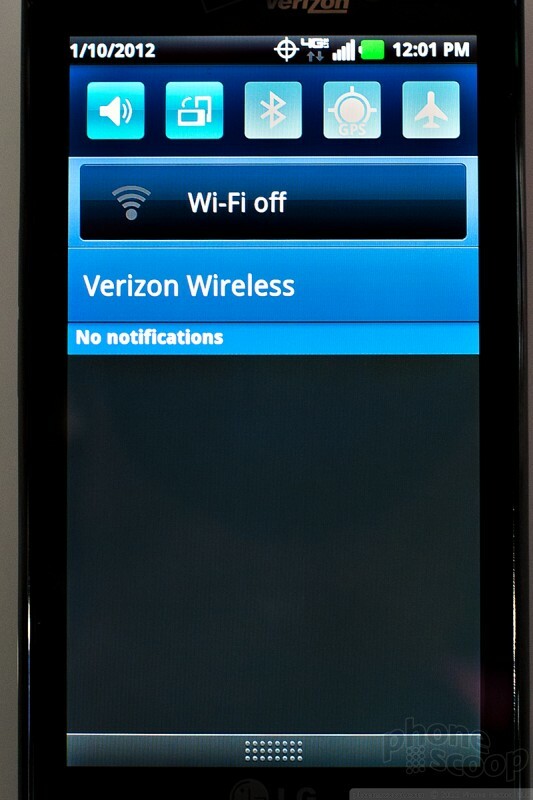 While the update does not install Android 4.0 Ice Cream Sandwich, it does deliver a large number of bug fixes and feature improvements. 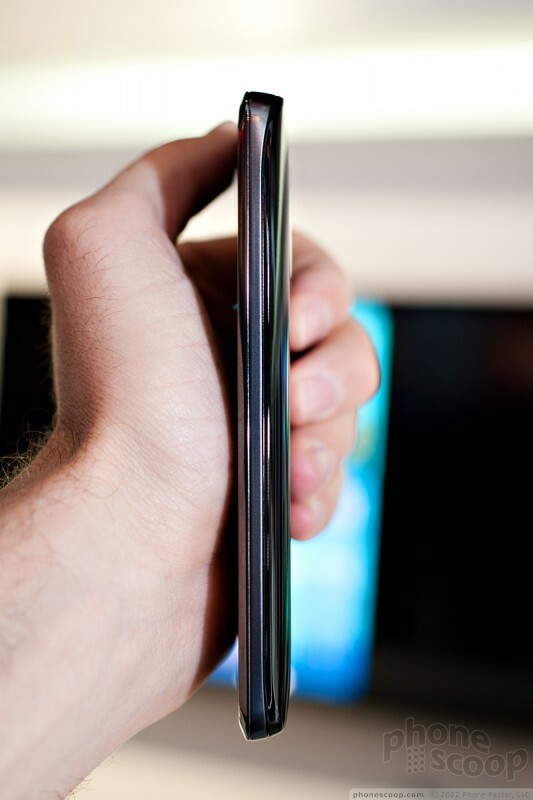 How will it compare to the Droid RAZR? How big is that screen?